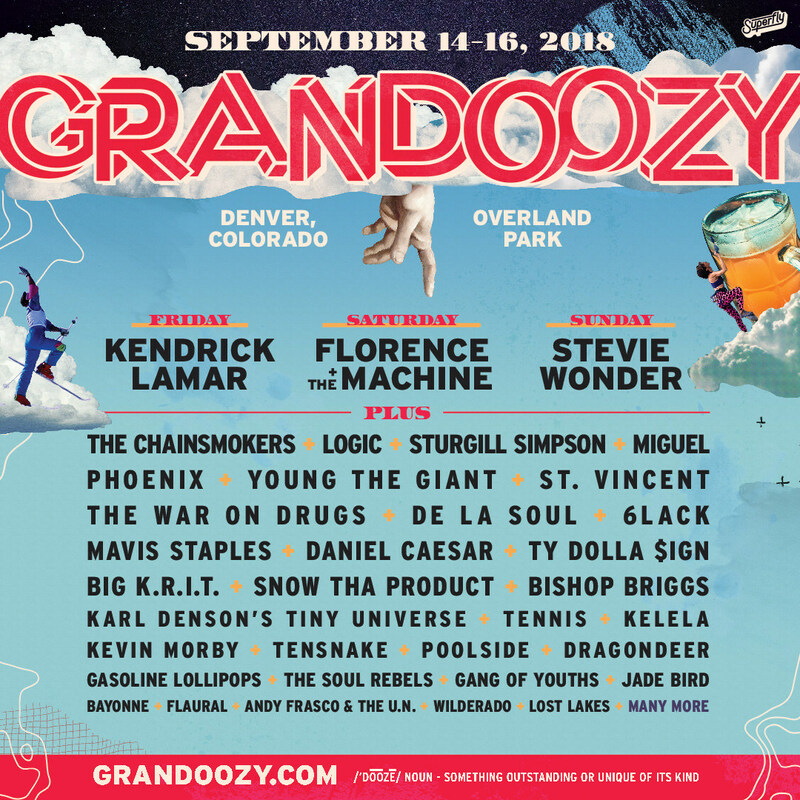 Superfly, the co-creators of Bonnaroo and Outside Lands, today unveiled the lineup for their newest festival creation, Grandoozy, taking place September 14-16 at Overland Park Golf Course in Denver. This new three-day, multi-format festival featuring nearly 40 music acts alongside distinct culinary, craft beer, art and outdoors experiences, will be headlined by Kendrick Lamar (Fri), Florence + The Machine (Sat), and Stevie Wonder (Sun). Capital One cardholders can get access to an exclusive pre-sale on three-day General Admission and VIP tickets starting March 21 at 10 a.m. MT through March 22 at 11:59 p.m. MT. General on sale begins March 23 at 10 a.m. MT for three-day General Admission and VIP tickets. Additionally, Grandoozy will be offering a layaway plan that will allow ticket buyers the option to split the cost of purchase into multiple payments over time. All tickets can be purchased at Grandoozy.com. As is signature to Superfly's festivals, Grandoozy will feature an elevated food and drink experience reflective of the best that Denver has to offer. Led by some of the city's most celebrated chefs and culinary entrepreneurs, Devour Denver will feature the most delicious bites from the mountains to the heart of downtown. Culinary Ambassadors shaping the experience include Adam Schlegel (Snooze), Biju Thomas (Biju's Little Curry Shop), Dana Faulk Query (Big Red F), Jeff Suskin (Dining Out, Top Taco, Chicken Fight), Justin Cucci (el Five, Linger, Root Down), Carrie Baird (Bar Dough and Colorado's Top Chef contestant), Jennifer Jasinski (Rioja, Bistro Vendome, Euclid Hall, Stoic & Genuine, Ultreia) and Tommy Lee (Hop Alley, Uncle). Complementing Grandoozy's culinary program will be two distinctive beverage experiences, Arts & Crafts: A Craft Beer Experience and Flight School: Denver Distilleries, Spirits & Cocktails. Curated by Steve Kurowski of the Colorado Brewers Guild, Arts & Crafts will offer Grandoozy-goers a fantastic selection of craft beers, highlighting some of the finest Colorado breweries and beyond. True to name and rounding out the experience, local artists and creators will be featured in the area, shining a spotlight on Denver's emerging talent. Adding spirits to the mix, Flight School promises to offer some of the best craft distilleries from Colorado and beyond. Denver's Chad Michael George (named one of Food & Wine's Best Mixologists in 2016 and partner at The Way Back, Wayward and American Grind) will guide attendees through flights, ranging from smoky and barrel-aged gins to juniper and vanilla forward bourbons and mezcals. A diverse selection of craft cocktails will also be on deck. To revel in Colorado's heritage as the ultimate destination for outdoor sports and lifestyle, Grandoozy-goers can head to The Backyard where a range of outdoor brands will be showcased alongside adventurous activities and engaging programming surrounding Colorado outdoor spaces. A highlight within the area is the 80's Ski Lodge, which rolls back the clock to celebrate the iconic ski aesthetic of yore, complete with themed music, food and drink and more. Grandoozy was created by Superfly with support from local partners at the forefront of Denver's creative and entrepreneurial scene. Additionally, Grandoozy is working closely with the City of Denverand the community of Overland Park to create the best experience possible for the local community. The exclusive Capital One Cardholder pre-sale for three-day general admission and VIP starts March 21 at 10 a.m. MT and runs until March 22 at 11:59 p.m. MT, with limited availability. General on-sale starts March 23 at 10 a.m. MT. Pricing starts at $224.50 for General admission three-day tickets and $599.50 for VIP three-day tickets and can be purchased at Grandoozy.com. Superfly is passionately driven by curating culture through experiences, immersive live events and creating award-winning campaigns for some of the most recognized brands in the world. Founded in 1996, Superfly's expertise is building hand crafted cultural experiences with a distinct identity, such as the iconic Bonnaroo Music & Arts Festival, Outside Lands, Clusterfest and Lost Lake that are equally desired by brands and destinations for fans. Additionally, Superfly strategically helps brands establish and raise their profile through programming, design, digital, social and experiential platforms. Superfly is headquartered in New York, with offices in Chicago and San Francisco. 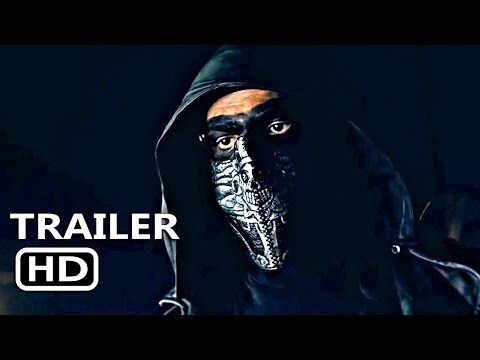 Learn more at superf.ly/, and follow Twitter @Superfly, Facebook facebook.com/superfly and Instagram @superflypresents.